Beauty in simplicity—Frog and Toad are the perfect duo. These stories are fun to read aloud and instill lessons of friendship, adventure, and compassion. 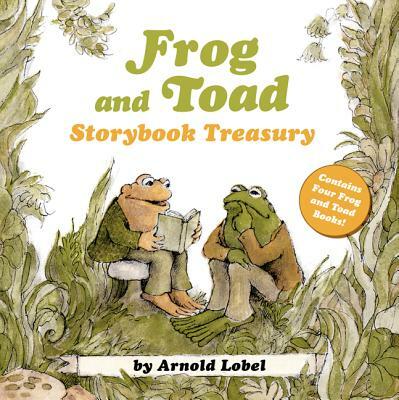 Lobel’s classic illustrations make these tales memorable while you explore new vocabulary and life-lessons with your child. This 9x9 hardcover treasury includes the complete art and text from four classics: Frog and Toad Are Friends, Frog and Toad Together, Frog and Toad All Year, and Days with Frog and Toad. Share the adventures of best friends Frog and Toad as they fly a kite, resist the temptation of cookies, and search for a lost button. No matter what kind of situation they find themselves in, one thing is certain: Frog and Toad will always be together.